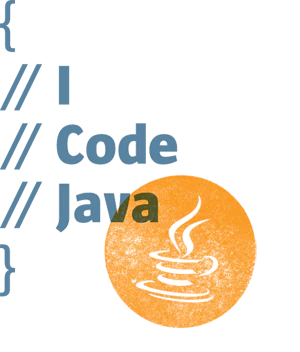 Java API for JSON Processing (JSON-P) is a Java Standard defined with the JSR-353, which is a part of Java EE 7. It is called JSON-P as abbreviation but it does not seem appropriate because of causing confusion with JSON Padding. For this reason, it may cause confusion at first glance but even so, I would prefer JSON-P abbreviation in this article. The irreducible rise of the RESTful web services has provided JCP to give more proclivities to this process and make them enter into the process of establishing a standard for the manipulation of JSON in Java EE 7. People who deal with XML technologies are familiar with Stax and DOM technologies that are used on behalf of processing and managing XML. General libraries about Stax and DOM already exist for a long time, which are for XML data exchange format in Java SE. Now, Stax and DOM approaches used for XML together with JSON-P will be introduced in a manner similar to JSON. Although there exists libraries on the basis of Stax and DOM in JSON-P, there were not any APIs which undertake the conversion of Object<>JSON as similar to JAXB. If you develope Restful Webservices with Jax-RS before, software exist in Java ecosystem such as Jackson, Jettison was already being used for Json Binding operations. These operations in JAX-RS was being resolved by converting the object into XML format previously and then converting the converted XML data in JSON format. But with Jax-RS 2 and Json-P, container can convert Json based Java objects to Json representation and vice verse. As you can access to the JSON-P project from the http://json-processing-spec.java.net/ address, you can also use dependency where libraries exist through the following Maven dependency component. Example 2: A complex array of Json which hosts Json object JsonArray object in JSON-P can accept such components in the type of String, int, double, boolean, BigInteger, BigDecimal. In addition, it also accepts objects in the type of JsonValue interface (such as JsonObject, JsonArray). You can access to the examples from here. Java* Trainer and Author. JCP Expert, Istanbul JUG and Adopt a JSR member. Duke's Choice Award 2015 winner. Ex-Voxxed Istanbul Organizer. Creator of AsciidocFX. How to Remove Unnecessary Jars!